ELEMIS Absolute Eye Serum 15ml is a light, yet concentrated, eye serum with herbal extracts to moisturise the delicate eye area, minimising fine lines and wrinkles, and reduce the appearance of dark circles. The active ingredients of Rosewood, Comfrey, Lavender and Camomile condition and nourish delicate eye contours while Osmanthus cools and decongests your eye area. Active Ingredients: Rosewood, Comfrey, Osmanthus, Lavender, Camomile. Treatment Type: Hydrating Eye Serum. 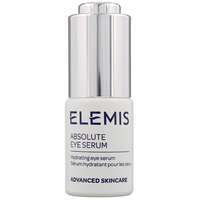 Elemis Advanced Skincare Absolute Eye Serum 15ml / 0.5 fl.oz. ELEMIS ABSOLUTE EYE SERUM Hydrating eye serum 15ml was found on 4 websites and was price compared using EAN: 0641628002436. 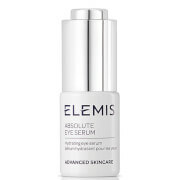 The cheapest ELEMIS ABSOLUTE EYE SERUM Hydrating eye serum 15ml is shown as the main item, prices range from £23.45 to £34.00, excluding delivery. Price comparison based on price and delivery charges, with any valid discount codes being applied, is shown in the table above. Prices and information correct at the time of publication.